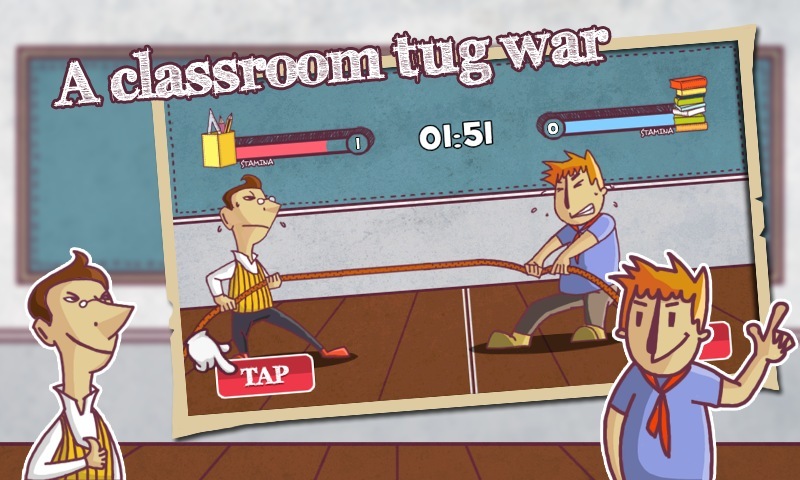 Leave books and desks, this is a tug completion in crazy classroom. Teacher and student fight together to celebrate the tug of war. Competition system: Best-Of-Three Series, support single and two player mode. 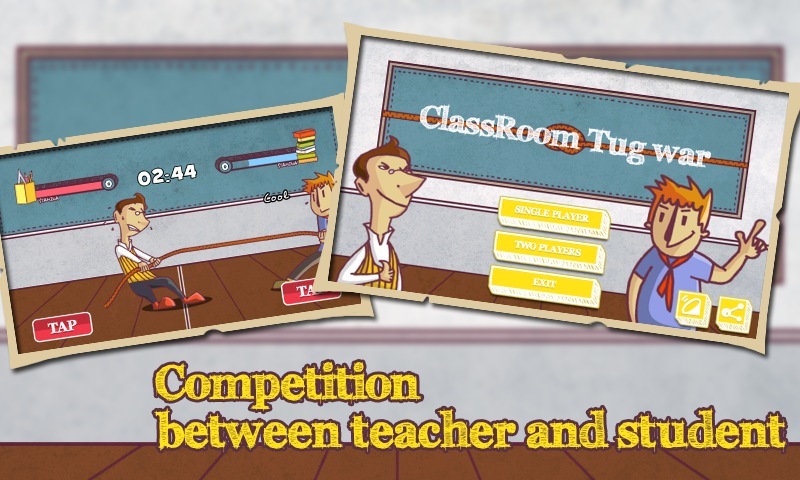 Let teacher and student tug their own rope by clicking the buttons as far as possible. 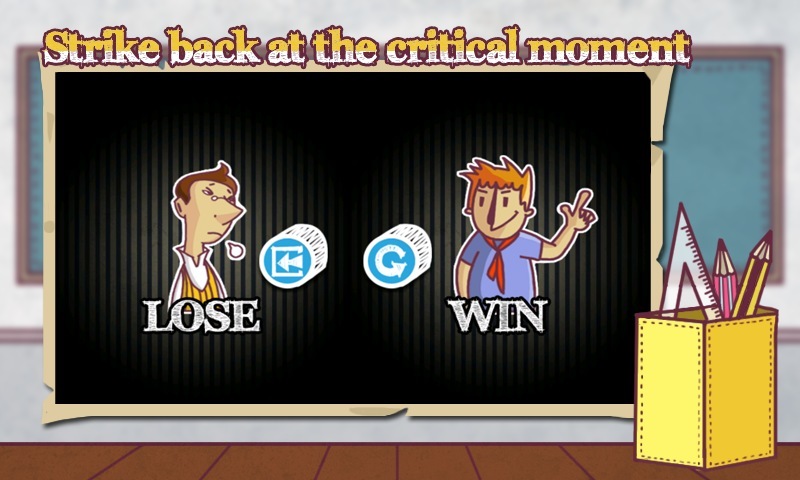 The person who first pulls his competitor off the central line will get the point. On the top of the screen, we can see two bars. They show your remaining strength. We need to have a break at the strength exhausted. This is an opponent to strike back if we take advantage of this moment. 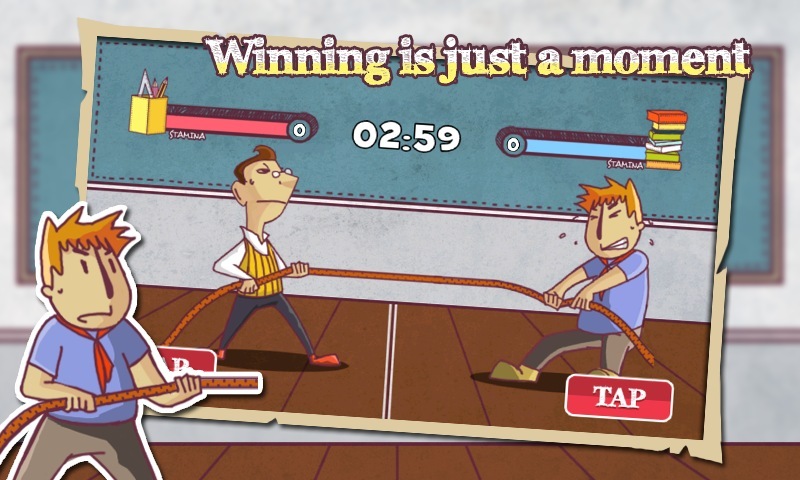 Ultimate challenge your finger, welcome to join us and enjoy the tug war ?